Seize the opportunity, no matter what. I recently took part in a writing retreat Sarah organized, Write in Nature. I should explain that I am also an Association of Personal Historians member, but had yet to do my own personal history. I thought the retreat would be the perfect opportunity to escape the usual household obligations and really get started on it. First, a request for you, dear reader. 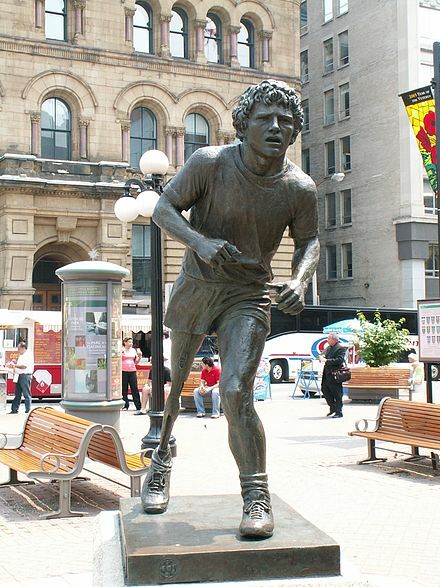 If you are not reasonably familiar with one of our Canadian heroes, Terry Fox, and the Terry Fox Foundation, please stop reading now and Google Terry Fox, and then find the Foundation, and the reference to Terry Fox Runs in international locations. You need to have a sense of this concept before continuing. Terry Fox statue in Ottowa, Canada. After 30 years working for Bell Canada, I was suddenly downsized and retired as a Director in 1995. Days later my phone rang, and it was a headhunter engaged by Nortel, at the time one of Canada’s greatest tech companies. The headhunter wanted me to go to Bogotá Colombia for a three-week consultancy to learn why the revenues from a telephony project of Nortel’s were not meeting expectations. My previous experience at Bell perfectly equipped me for this, but I asked how this person had found me, as I had not put my name out for such offers. He replied that he had first tried another recently retired Bell colleague of mine, whom he knew, but Derrick had just signed a contract with another firm the day before, and so recommended me for the assignment. First unexpected opportunity to seize: done. I was on the plane to Bogotá as fast as papers could be arranged, made my recommendations, and then waited to see what happened, as I had become convinced the local staff had no idea how to implement the recommendations. Not because they were not capable people; they simply had no experience in the measures required, without leadership and guidance. It did not take long for Nortel to call me and offer a six-month contract to implement my recommendations. Three days after arrival, I went to the Canadian Embassy for the great tradition of the Friday Night Club, a chance to get cheap Canadian beer and keep up with all the local news. I saw a lady looking very unhappy at the bar, and went over to introduce myself. I was not trying to pick her up. Second unexpected opportunity to seize: done. Turned out she was the President of the Bogotá Canadian Club, a social/do local good works organization, and our departing Canadian Ambassador had just been approached by the Terry Fox Foundation and urged to get on board with a Run in Bogota. Since he was leaving imminently for another posting, he dumped the task on the Canadian Club. Joan was distraught; of course she knew who Terry Fox was, but had no idea how to organize a Run, especially in the two-month window the Foundation had given her to complete the event. I assured her that as an avid runner and organizer of events, I would put together some notes on what had to happen. Three days later, I was the Chair of the non-existent TFR Bogotá Committee. Nortel gave me free rein to do whatever I had to do and spend whatever money needed to make the event happen and make sure Nortel got lots of credit as a sponsor. Third unexpected opportunity to seize: done. 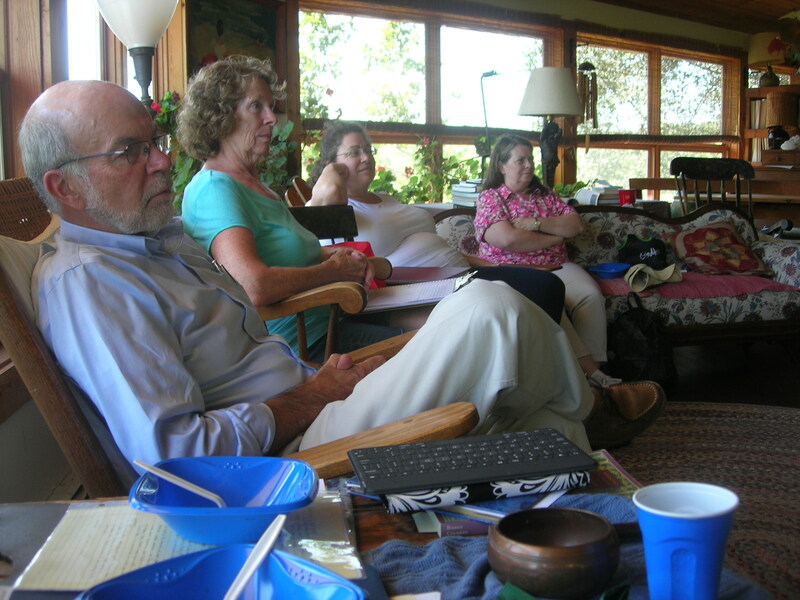 What follows are a couple of short extracts created at the Write in Nature retreat. I hope you enjoy them. On the flight back to Ottawa from Madison, I compiled a lot more of the early days of my life. Without Sarah’s Write In Nature retreat, nothing would have happened. Thanks, Sarah! And then near disaster struck. The Terry Fox Foundation declared that all the money raised had to be sent to Canada to support cancer research there. This was totally unacceptable, as we had already determined and advised the Foundation that legitimate research would be done, in the form of a cancer occurrence atlas of the country, which was desperately needed. Up until then, Colombian researchers had no firm idea of where in the country certain types of cancer occurred, and hence having the right resources deployed in the right places was not happening. I called the head of the Foundation and told her in no uncertain terms that not one peso would go to Canada, and if they insisted, I would quit and my entire team would quit and the event would not happen and I would write a scathing article about their insensitivity for the Globe and Mail, our leading newspaper in Canada. They immediately backed down, and the slightly chaotic organizing life resumed. And then a real disaster occurred. We were getting very close to event time, and planned a major publicity activity at the Embassy, with the new Ambassador, who really was on board, all the news media, a national team soccer star, wine and cheese for the media (necessary in Colombia), and a host of well-known dignitaries of all stripes. All was in place. And then the night before the press conference, the Colombian Vice-President resigned, something that had been expected for weeks, and was not even news by then, but every single news media outlet covered his resignation, at the same time as our event was taking place. Not one media outlet attended our event. We made all our nice speeches to each other, and then had to drink all the wine and eat all the cheese ourselves. Thanks to the citizens of Canada for paying for one hell of a party. I have to say that the first Bogotá Terry Fox Run was the most successful ever held in a Spanish speaking country, to that date, thanks to an incredible Colombian and Canadian team that shared my vision of seizing the opportunity and making it happen, no matter what. If you wish to hear more, email me at wghorne@rogers.com. Bill Horne is a freelance writer, editor and personal historian, living in Ottawa Canada. An avid runner and cyclist, he takes orders only from Molly, his 19 year old cat. Learn more about Bill at www.launcestonservices.ca. This entry was posted in Guest writer and tagged Terry Fox Run. Bookmark the permalink. Thanks for a well-written slice of life, Bill. I am impressed that you traveled from Ottawa to Madison for Sarah’s workshop in nature.